myAgro is an award-winning non-profit social enterprise based in West Africa. We have pioneered a mobile savings model that allows farmers to invest their own funds in high-quality seed, fertilizer, and agricultural training to increase their harvest and income by 50-100%. Our North Star is to help 1 million farmers increase their incomes by $1.50 per day by 2025 and lift themselves out of poverty. Learn more from myAgro’s founder and CEO here. myAgro is seeking seasoned but hands-on leaders to oversee the execution of myAgro’s long-term program strategy in Tanzania. Tanzania is an integral part of myAgro’s operations, and we have big plans for expansion and impact in the coming years: increasing our impact, reaching new geographic areas, innovating on our current models, and preparing myAgro to serve as a model for organizations reaching smallholder farmers around the globe. The Country Director – Tanzania will provide critical operational leadership to myAgro’s Tanzania program as we grow, ensuring our operations run smoothly and efficiently as we scale to reach tens of thousands more farmers in the coming years. The Country Director – Tanzania is responsible for the administration of our core program (including developing key operational processes to increase efficiency during a period of rapid growth), as well as pilot development, program budgeting, M&E, management of the current 20-person team and growing the team to 100+, and more. As a member of myAgro’s Executive Team, s/he will also make critical contributions to myAgro’s long-term strategic direction. S/he will report to myAgro’s Chief Program Officer. myAgro’s Tanzania program is an exciting expansion of myAgro’s original work in Mali and Senegal. The Tanzania program works through partnerships with Savings Group networks. The Tanzania program is also innovating on myAgro’s scratchcard layaway model by piloting a fully digital payments model leveraging Tanzania’s mobile money network. myAgro Tanzania’s pilot region and current 20-person team is based in Mtwara. 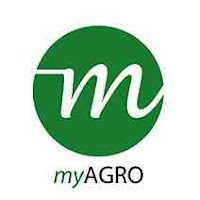 myAgro anticipates establishing a Dar es Salaam based headquarters for its Tanzania operations in order to manage both partnerships in the southeast and northwest. The Country Director would be expected to spend significant time in Mtwara at the beginning of the role, and then frequent travel after orientation. myAgro is a startup social enterprise with plans for rapid and substantial growth. The ideal Country Director candidate will have an outstanding track record managing complex projects and diverse teams, developing innovative programs, and serving in an organizational leadership capacity during a period of rapid scale or transition. The ideal candidate will also be comfortable working on a limited budget, will have a highly entrepreneurial mindset, and will be comfortable “getting their hands dirty” when required. • Scale – grow from 400+ farmer pilot to 20,000+ farmers in the next 2 years, including piloting and growing a 2nd Savings Group network partnership. • Sustainability – Increase financial sustainability of field program through improved systems, processes and efficient staffing ratios supported by excellent training and supervision. • Organizational capacity: Recruit, train, and invest in the professional development of strong Tanzanian leadership in all key departments. • Determine key Tanzania goals and major strategic decisions with the Tanzania team, the Chief Program Officer, and executive team. • With myAgro senior leadership, develop program strategy, targets and milestones to achieve myAgro’s ambitious goals. • Develop tools, trainings, dashboards for sharing the strategy, goals, objectives with the Tanzania teams and regularly reinforce progress, remove bottlenecks and implement strategy. • Produce and present regular progress and management reports to myAgro’s Senior Management Team and Board of Directors. • Share and incorporate feedback from team in developing vision, communication process, etc. • Build partnerships with key stakeholders in East Africa and beyond. • Lead budgeting and operational planning to ensure program goals are met cost effectively and on time. • With Finance Director, ensure monthly finance reports for operations are accurate and on-target. • Ensure compliance with national and local financial management standards, and ensure efficient annual audits are carried out. • Support decentralization of budgeting at the Project Assistant level. • Oversee development and implementation of an HR performance management and incentive structure in-line with myAgro’s budget and HR laws in Tanzania (including forecasting and planning towards hiring to replace those nearing end of contracts). • Work with Policy team to develop or support a government strategy of sharing myAgro’s work, getting buy in and developing potential opportunities (on a case by case basis). • Develop pilots and manage M&E to continually improve myAgro’s model and impact. • Security and health oversight for team and general security for the office(s) and field staff. • Manage current team of 20+ local staff and near-future team of 100+ to deliver a consistent, high quality program throughout the country. • Meet weekly with your direct reports to coach, guide and give feedback. • Go to the field weekly to observe activities in process. Anticipate spending several weeks at a time in Mtwara during key season periods. Anticipate significant time in northwest developing new partner pilot. • Develop a bar for quality execution through field and office leadership. • Manage your team’s workload and performance with regular reviews, evaluations, raises, promotions, probations, firings as needed. • Cultivate the values and culture of myAgro throughout the organization. • A minimum of 10 years professional work experience with at least 3 years in an organizational leadership role. Preferably your background is a mix of non-profit and corporate roles, with experience implementing projects in developing countries. • You’ve planned, managed and executed a large budget. • You’ve built effective relationships with external stakeholders from the private and/or public sector. • You’ve utilized KPIs, or similar metrics, to manage and direct an organization towards success. • You’ve managed staff and demonstrated strong facilitation and training skills. • Exceptional creative problem-solving skills – work effectively in a challenging and resource-constrained environment. myAgro provides equal employment opportunities to all employees and applicants without regard to race, colour, religion, sexual orientation, marital/parental status, national origin, age, disability, political opinion, social status, veteran status, and genetics. myAgro complies with all applicable federal, provincial and local laws governing nondiscrimination in employment.